[Update] IGN has updated its original story with a clarification from Sony that Detroit: Become Human doesn’t render in native 4K on the PS4 Pro – it uses checkerboard 4K instead. 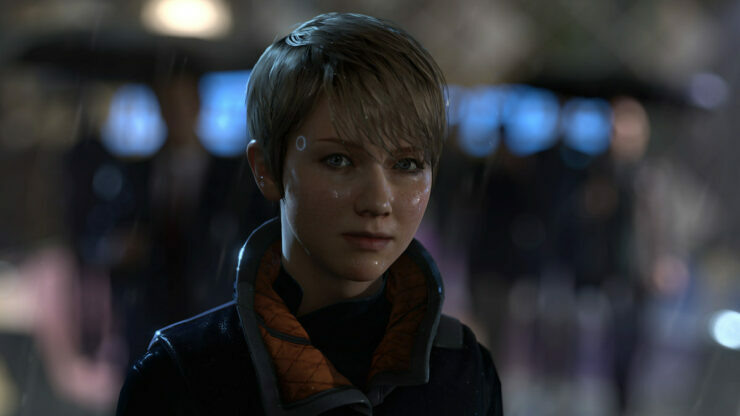 [Original story] Detroit Become Human PS4 Pro renders in native 4K resolution according to Quantic Dream’s art director Christophe Brusseaux. Our IGN First month of coverage with PS4’s exclusive Detroit: Become Human continues! In this new look at the cinematic PS4 adventure game from inside Quantic Dream’s Paris-based development studio, we look at the custom, made-for-PS4 tech that powers the game, including the native-4K benefits of PS4 Pro. 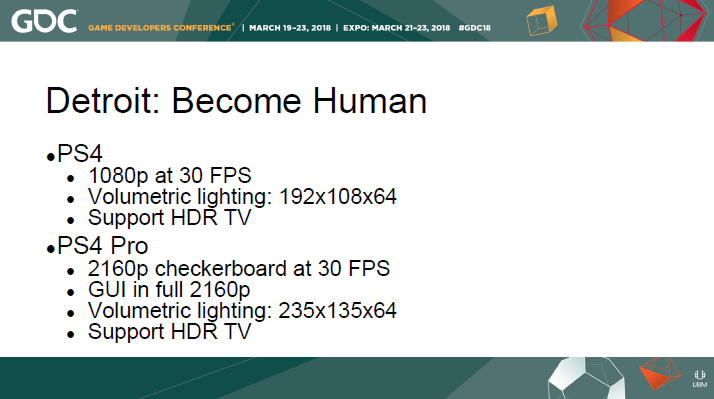 That’s a bold claim since Quantic Dream has officially confirmed that the game would use checkerboard rendering to render the game in 4K, and at this year’s GDC event, the developer showed off a slide which clearly mentioned “2160p checkerboard at 30fps” on Sony’s enhanced PS4 console. This could imply that either Quantic Dream has found a way to render the title in native 4K instead of using checkerboarding, or that the art director is in error at this point. Detroit Become Human is slated for a release on PlayStation 4 next month on May 25th.